America need look no further than its own lauded leaders for a war criminal whose offenses rival those of the most heinous dictators in recent history: Henry Kissinger. 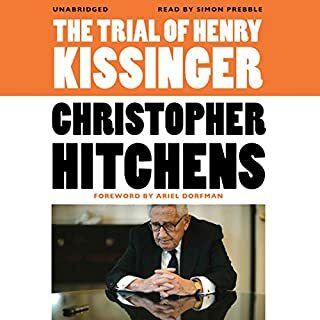 Employing evidence based on firsthand testimony, unpublished documents, and new information uncovered by the Freedom of Information Act, and using only what would hold up in international courts of law, The Trial of Henry Kissinger outlines atrocities authorized by the former secretary of state in Indochina, Bangladesh, Chile, Cyprus, and more. A Nobel Peace Prize recipient beatified by the Catholic Church in 2003, Mother Teresa of Calcutta was celebrated by heads of state and adored by millions for her work on behalf of the poor. 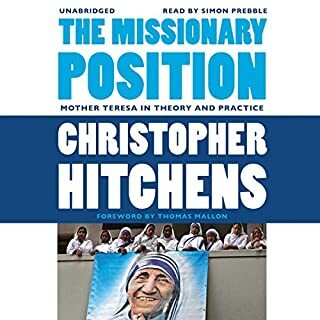 In his measured critique, Hitchens asks only that Mother Teresa's reputation be judged by her actions - not the other way around. With characteristic élan and rhetorical dexterity, Hitchens eviscerates the fawning cult of Teresa, recasting the Albanian missionary as a spurious, despotic, and megalomaniacal operative. In No One Left to Lie To, a New York Times best-seller, Christopher Hitchens casts an unflinching eye on the Clinton political machine and offers a searing indictment of a president who sought to hold power at any cost. With blistering wit and meticulous documentation, Hitchens masterfully deconstructs Clinton's abject propensity for pandering to the Left while delivering to the Right, and he argues that the president's personal transgressions were ultimately inseparable from his political corruption. A scathing attack from the left. 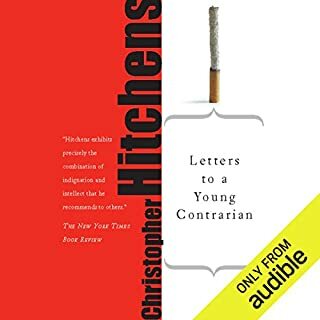 The first new collection of essays by Christopher Hitchens since 2004, Arguably offers an indispensable key to understanding the passionate and skeptical spirit of one of our most dazzling writers, widely admired for the clarity of his style, a result of his disciplined and candid thinking. Topics range from ruminations on why Charles Dickens was among the best of writers and the worst of men to the enduring legacies of Thomas Jefferson and George Orwell. A perfect gift for your favorite history buff, or for your own collection, this audio set from the acclaimed Eminent Lives series is a must for anyone interested in the story of America. The death of Christopher Hitchens in December 2011 prematurely silenced a voice that was among the most admired of contemporary writers. For more than 40 years, Hitchens delivered to numerous publications on both sides of the Atlantic essays that were astonishingly wide ranging and provocative. 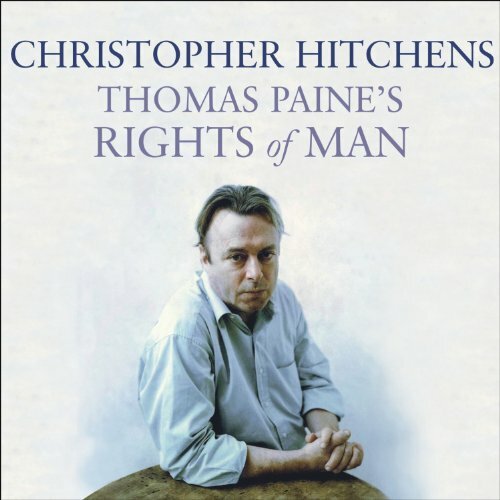 Rights of Man presents an impassioned defense of the Enlightenment principles of freedom and equality that Thomas Paine believed would soon sweep the world. He boldly claimed, "From a small spark, kindled in America, a flame has arisen, not to be extinguished. Without consuming...it winds its progress from nation to nation." Over the course of his 60 years, Christopher Hitchens has been a citizen of both the United States and the United Kingdom. He has been both a socialist opposed to the war in Vietnam and a supporter of the U.S. war against Islamic extremism in Iraq. He has been both a foreign correspondent in some of the world's most dangerous places and a legendary bon vivant. He is a fervent atheist, raised as a Christian, by a mother whose Jewish heritage was not revealed to him until her suicide. Thomas Paine's The Age of Reason; Being an Investigation of True and Fabulous Theology, published in three parts from 1794, was a best seller in America, where it caused a short-lived deistic revival. Promoting a creator-God while advocating reason in the place of revelation, Paine’s controversial pamphlet caused his native British audience, fearing the results of the French Revolution, to receive it with more hostility than their American counterparts. Since its publication, The Rights of Man has been celebrated, criticized, maligned, and suppressed. But here, commentator Christopher Hitchens, Paine's natural heir, marvels at its forethought and revels in its contentiousness. Above all, he shows how Thomas Paine's Rights of Man forms the philosophical cornerstone of the world's most powerful republic: the United States of America. Listen to more Books That Changed the World. 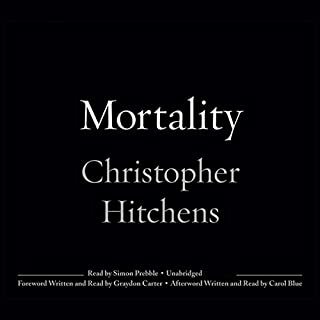 ©2007 Christopher Hitchens (P)2007 Tantor Media Inc. I picked this up after hearing Thomas Paine's unwavering irreligious convictions referred to by Christopher Hitchens and Richard Dawkins in their atheist literature. Unfortunately there was not as much information in this vein as I'd hoped, though the last chapter(s?) did recount his later life when his religious views came into sharper focus. Mostly this was interesting in terms of American/British history, and the history of philosophy about human rights. As others have noted, it is occasionally difficult to tell where a quotation ends and the main text resumes; but genterally the narration is expemplary with some very nice Scottish brogue thrown in for spice. Exciting July Fourth Listening! Wow! Somehow I had expected this would be simply Tom Paine's writing, not a whole book about him. History, philosophy and politics are not my strengths, but I've lived long enough and traveled enough that I do care about these things. I found another audio book on the same topics, Founding Brothers, very difficult listening, although I believed it was well narrated. This book by contrast is almost suspenseful. The narrator reads with great understanding, but the book is written so as to be interesting. This author has an exciting mind! Back in high school I didn't really get it about the deists. And who cared about the Louisiana Purchase? Paine was already trying to solve the problem of slavery, develop a plan for freed slaves. Paine even foresaw a need for a welfare system. Well, goodness! It's a most stimulating book. Educational, exciting, most worthwhile. While there is no imperfect time to read about Thomas Paine or read Christopher Hitchens, 2016 with Brexit and Trump seem to almost BEG for a steroid shot of rationality and intelligence. I read this because I was tired of the news, tired of the discourse, tired of FB debates and arguments that seemed inane and inept (I once saw a debate over some political issue that was carried out entirely using memes). I wondered how we could have dropped from a period where big ideas were discussed by big men (yes, and big women: see Mary Wollstonecraft) to this? That isn't a lazy peer group. Think about this too. Thomas Paine had his fingers directly in two revolutions (American and French) and was working on a third (England). His words seem almost as natural as the Bible. His concepts are woven into the fabric of our modern sense of freedom, rights, democracy. He is THE prime example that simple words, in the right hands, can change the course of global events. Obviously, the French and American revolutions most certainly would have still happened without Thomas Paine, but the revolutions and the ideas behind them would not have been the same. This guy's words were matches of poetry AND power. "To all these champions of the oppressed Paine set an example of courage, humanity, and single-mindedness. When public issues were involved, he forgot personal prudence. The world decided, as it usually does in such cases, to punish him for his lack of self-seeking; to this day his fame is less than it would have been if his character had been less generous. Some worldly wisdom is required even to secure praise for the lack of it." - Bertrand Russell, The Fate of Thomas Paine. Paine was a genius in his own time and his story his truly a remarkable one. His ideas and philosophies were spot on and overall, he's easily my favorite "founding father". With that said, though, this audio book is dull and I had a tough time trying to keep focus to listen to it. Would you consider the audio edition of Thomas Paine's Rights of Man to be better than the print version? If you want the freedom of "reading" (listening) while, say, driving. What was one of the most memorable moments of Thomas Paine's Rights of Man? Christopher Hitchen's lucid writing style. He was clearly prepared and made the material audibly digestible. Yes, and it's rather short so this may be a distinct possibility for many. This books ends up talking about Edmund Burke more it does about the Thomas Paine. It does not quote from The Rights of Man once. It only covers Paine's life in the US during the revolution, and during the revolution in France. It cannot be considered a biography because it does not tell of his beginnings—something I would have enjoyed knowing. this biography from Mr. Christopher Hitchens (minus) his voice thou his words highlighted and brought my attention once again. introducing me to whom . Mr Thomas Paine was. we are. Age of reason. 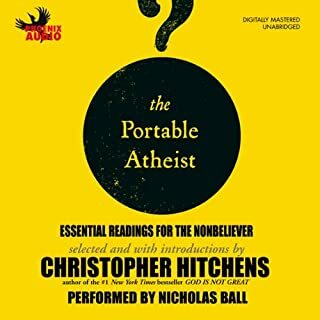 I was hoping for much more from this audiobook... what, I'm not sure, but it is one of the few books that I have turned off after listening for only 30 minutes. Dry, not the least engaging, and lackluster. 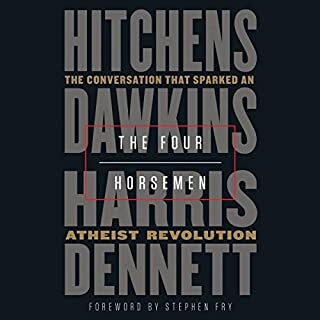 Already a fan of Thomas Paine, Tha Age of Reason being the book that led me away from Christianity, Hitchens' work provided more information on who Paine was. I learned quite a few new things about this most crucial character in American and European history. My only wish is that it had been longer as to cover more topics and expound further on subjects mentioned. The narrator's performamce was acceptable, excepting the pausses before quotations which I found monerately aggitating, but that is of little importance. All around, and excellent read. Christopher's writing is as sublime as ever. Witty and insightful. Only Hitchens could make a potentially dry biography such a "page-turner". Wow, this man was central to modern politics and I barely knew him. Christopher presents Thomas in a fair light. Showing his strengths and genius and the demanding road he travelled as very human. He was a great debater and policitcal writer. The best brains in the world could not defeat his arguments. Comparing this man to modern politicans , he was prepared to offer his life for his politics. His influence on world politics was perhaps the greatest in history. We owe him great respect. This is a highlights book, which distills Paines history in a Johhnie Walker Black Label blend. It encourages me to read Paines work and other books on this great man. I'm interested in the rights of man (and woman) but I really can't get into history. I guess it is interesting that Thomas Paine was the son of a corset maker and at various times in his life also earnt his crust in this profession. Is it? That is my problem with history. I don't like irrelevant facts. It is a little bit interesting to me that Paine was willing to use the bible for persuasive commonalities in his rhetoric and then published a critique of the bible that pretty much argued against its use as a source of evidence in arguments. Sort of mess we all get into, hahaha! I'm trying to say this book is simply not for me, but I feel that this is because of me, not the book. I'd be dead bored by a book on football too, but it might be a good book.